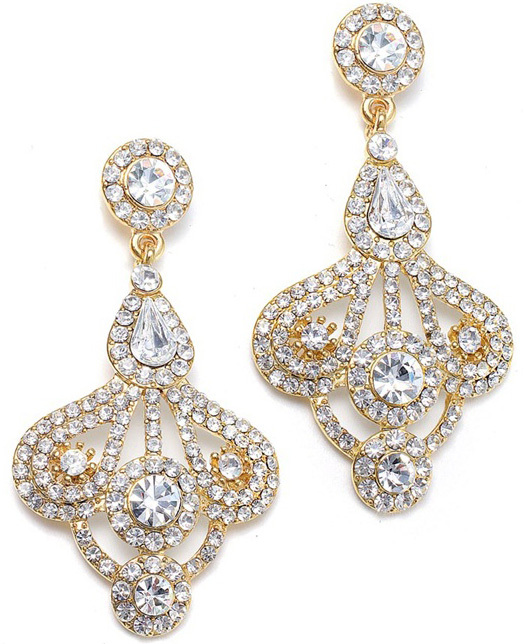 * Mariell's wholesale gold rhinestone earrings have a unique Art Deco fan design with inlaid round crystals for sparkling bridal or special occasion jewelry. * Mariell's abstract rhinestone earrings have a unique Art Deco fan design with inlaid round crystals for sparkling bridal or special occasion jewelry. * These stylish gold rhinestone earrings are 2 1/4" h and 1 1/8" w.